It can be difficult to get excited about singer-songwriters, perhaps because many of the successful ones end up being remarkably bland. There are plenty of female solo artists making brilliant music though, from the experimental Grimes to the acoustica of Ellie Makes Music. Valentina appears somewhere in the middle of that pop spectrum, delivering a collection of beautifully heartfelt songs on her debut EP, 'Weights'. 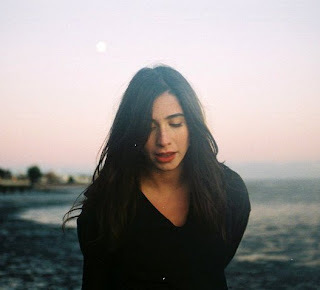 The London-based, Italian-born songstress emerges somewhere between Joni Mitchell and Regina Spektor. Her powerful vocals are arguably better than both. But it is the power of her songs that is truly breathtaking - from the majestic seven minute opener, 'Weights In The World' to the epic closing track, 'Heart Of Glass'. Click the orange widget below to listen to the EP in full, and also download 'It's A Line' for free. I don't think you'll regret it. Download the 'Weights' EP at Amazon.co.uk or purchase on CD from Rough Trade. More info at her official website.